After accidentally whipping up double the amount of chia seed raspberry jam (recipe to follow soon!) I scrambled through my kitchen to find a way to use some of it up. 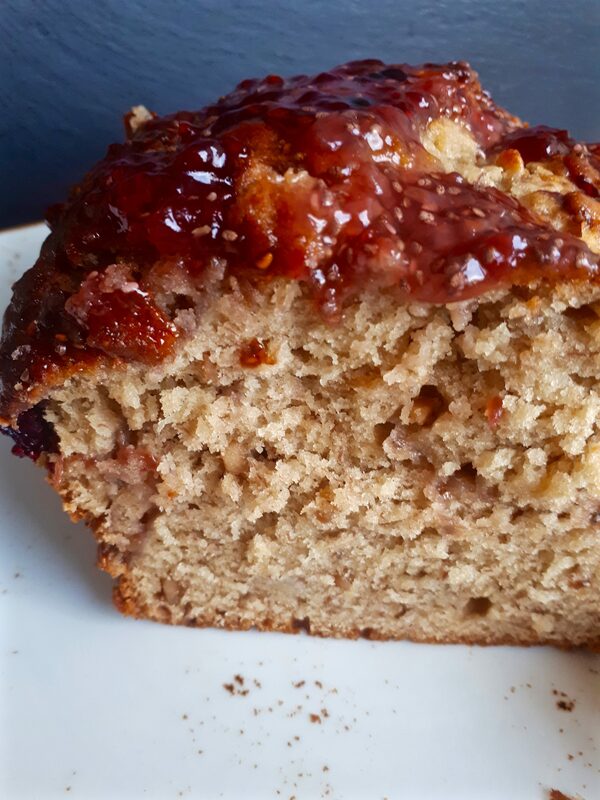 Piling up some eggs, ripe bananas, half a pot of crunchy nut butter and some blueberries and tada – PB&J Banana Bread epiphany.